Rene: Here, we can observe Toyota’s strategy in implementing a multicultural approach. They didn’t stop at total market, but rather recognized how to reach the segments they wanted to make an impact with. They identified a spot that was culturally relevant for each audience, leveraging deep consumer insights to achieve one voice and one overarching relevant message – genius! Rene: Lyft employs more organic content here. It uncovers and shares amazing stories about people who represent the new face of the U.S: minorities. It resonates deeper with the audience it truly reflects, fostering a deeper relationship with them, while also impacting the general audience with emotionally charged content. Rene: This spot really speaks to the time that we are living in: The Trump era. Although this was designed to be General Market (GM), I think it’s a good example of how this approach can touch the hearts and minds of audiences on both sides of the spectrum. Hispanic consumers observe their own struggle reflected in the content, and on the flip side, the broader audience becomes educated on that same struggle. It’s an example of courageous practices from daring brands continue to stand for diversity. Rene: This is a great example of a campaign tailored for Hispanic consumers. 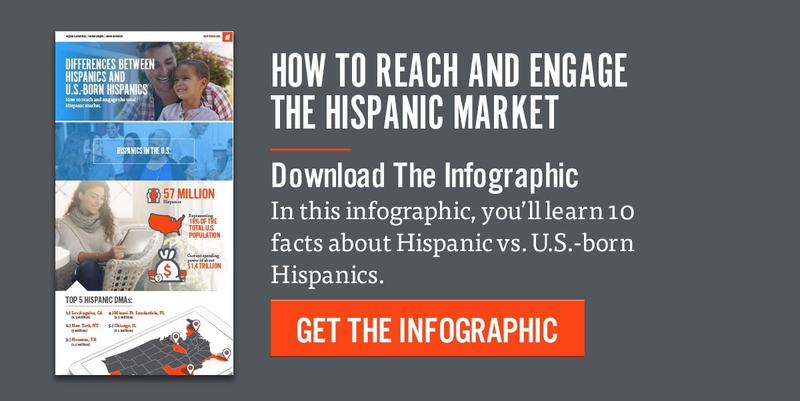 Going beyond just Spanish-language content, this campaign uses context and non-verbal cues to bring together a story that is understandable to Hispanic consumers, and other groups, regardless of language barriers. Need advice on building your multicultural strategy? Let’s chat and see how we can help!